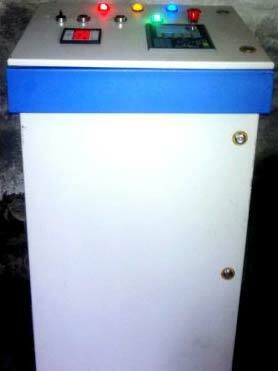 We have earned a good name in manufacturing and supplying PLC Touch HMI Soft Starter all over India. The PLC – Touch HMI & Soft Starter Based Up to 100 HP, are made available by us, to cater different pump automation requirements. Also, these Soft Starters are stringently scrutinized to confirm their compliance with current industry standards. For availing them at competitive prices, we are the name to be reckoned with. high - low voltage cut off device , phase sequence / phase reverse protection. Compatible with GPRS based wireless controller for easy controlling & monitoring. Auto / Manual selector switch for auto & manual operating of pump.